The stories of Victoria Cross winners are always breathtaking, the actions they took are always extraordinary – which is why they have been awarded the medal. Edwin Swales’ tale is no different. Swales was just one out of five South African soldiers to be awarded the honor during World War Two, and he was just one out of two who served in the air force. The South African was born in Inanda, Kwa-Zulu Natal in July 1915. Swales’ initial years were spent living on the farm on which his father worked in the Heatonville district. But after his father passed away due to the influenza epidemic of 1918-19, he was moved away closer to Durban – where he attended the prestigious Durban High School. This still exists today and is one of the oldest in the country. By all accounts, the Victoria Cross winner was an active child and took an interest in a regimented lifestyle from an early age when he joined the 4th Durban Scout Troop as a youngster. After completing his studies, but before the Second World War broke out, Swales enjoyed the quiet and domesticated life as a banker with Barclays Bank (Dominion Colonial and Overseas – DCO) in Durban. Both before and during the war, the medal winner was a keen sportsman – especially at rugby. Swales played for a number of teams, both in South Africa and in the United Kingdom. He featured for DHS second XI, Griquas while based in Kimberley for training and even was a reserve for Natal – but never made the first team. Following his stint working in Natal, Swales moved into the army for the first time in his life and joined the Natal Mounted Rifles, where he rose to the rank of Sergeant Major. During the early part of the war, Swales saw action in the infantry, where he fought in Kenya, Abyssinia and North Africa. After these initial forays into infantry conflict, the soldier decided he’d had enough of boots on the ground and transferred to the South African Air Force on the 17th of January 1942. Swales’ training took place in Kimberley, where he received his wings on the 26th of June 1943. Two months later, the pilot was seconded to the Royal Air Force (RAF). The RAF put Swales on a training program for heavy bombers and he was posted in June 1944 to the Pathfinder Force – an elite unit within the Air Force that would mark targets with flares to increase the accuracy of raids from the main bombing force. It was the regular procedure for the Pathfinders only to accept experienced pilots who had done tours behind the controls of heavy bombers in the past, so it was a testament to his skill and aptitude that Swales went straight into the squadron. 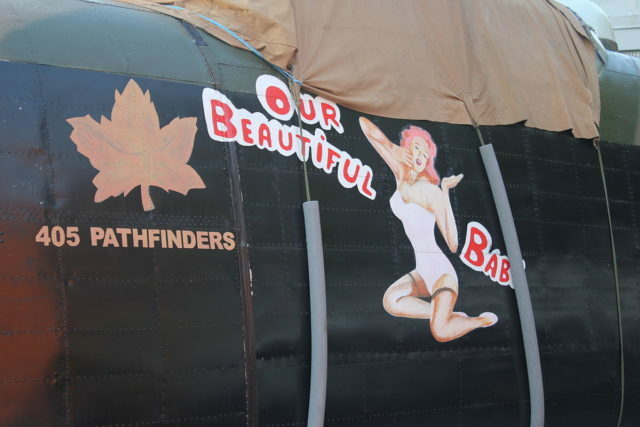 His first flight was on the 12th of July 1944 and by November the South African was promoted to Captain. Just over a month later, Swales took part in a daylight bombing raid on the German town of Cologne. The target was a railway yard. Swales was leading the flight along with his friend Robert Palmer when he suffered a real tragedy. Palmer, who was incredibly experienced and had completed 110 bombing raids, was killed when his Lancaster Bomber picked up damage from a German fighter and crashed. Along with that, six of the 30 aircraft on the operation went down a huge proportion of the strength. 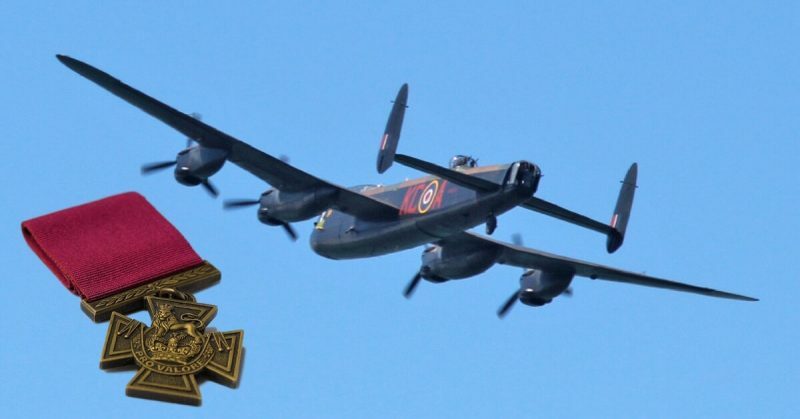 Palmer was awarded a posthumous Victoria Cross, while Swales was given a Distinguished Flying Cross for displaying ‘exceptional coolness and captaincy’ and for maneuvering the plane with great skill, which allowed his gunners to defend the bomber. The action in which the pilot would be awarded the highest honor came in 1945. By this point, Swales had become the Master Bomber and captain of an Avro Lancaster III PB538 and was tasked with leading the huge raid on Pforzheim. 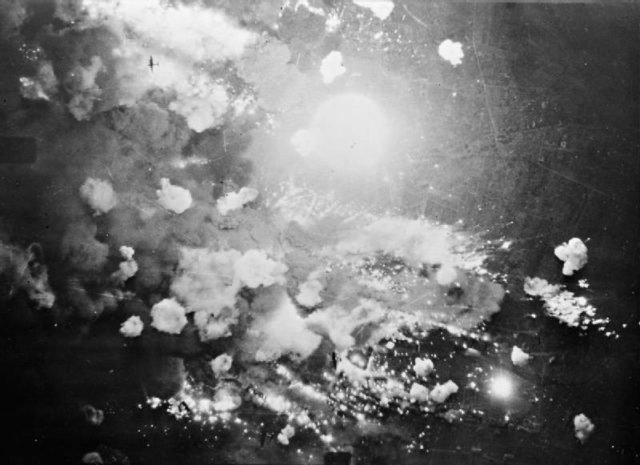 In 22 minutes of absolute carnage, over 17,000 civilians were tragically killed by the huge bombing campaign. A report compiled for RAF Bomber Command said the place was importance for the production of precision instruments that were used in the war effort. Pforzheim was also used to transport troops, although the town contained no war-crucial targets, only war relevant ones – which makes the loss of life seem like it has less value. The raid that destroyed the inner city took place on February the 23rd 1945; the attack force included 367 Lancaster bombers. As mentioned earlier, Swales was the Master Bomber and the marking of targets was incredibly accurate. The South African did his job from only 8,000 feet – and in just over 20 minutes, over 1,800 tons of ordnance were dropped on the built up area. But during the mission, a Messerschmitt Me110 swooped in and opened fire on Swales’ aircraft. In the hail of bullets, one engine was shattered, and the fuel tank was peppered. Because of the attack, Swales’ rear gun failed, and his plane was a sitting duck for further attacks. This didn’t worry the South African, who resolutely continued to issue bomb aiming instructions to the main force of bombers. Not content with the damage, the German came in for a second bite of the cherry and put a second engine out of action. Swales was now in serious danger, basically a sitting duck, but the pilot stayed over enemy territory until he was happy the attack had been directed to the best of his ability. 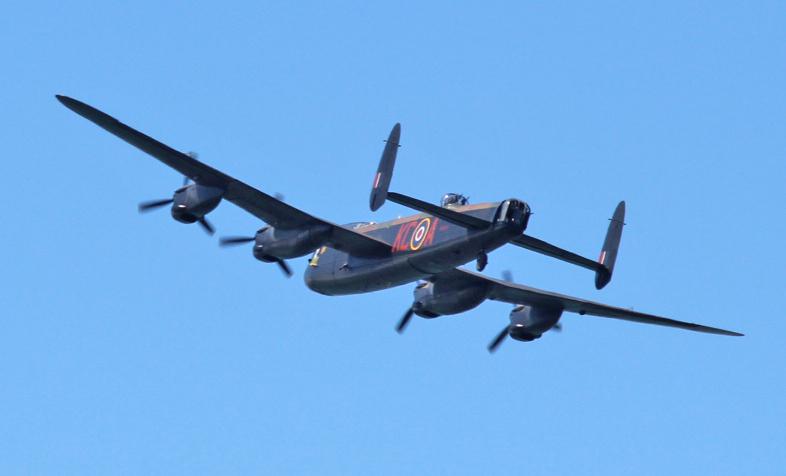 The Lancaster was now badly damaged, with its speed seriously reduced. It was with great skill and difficulty that Swales kept the plane in the air, but the pilot kept the Lancaster in the air for another hour. This was until difficult conditions closed over the plane, but the crew was now over friendly territory in France, which was of some comfort. Because of this, Swales ordered the rest of his crew to bail out of the plane while the Master Bomber kept things level. It was an action that took great courage and skill but would be the demise of the brave man. When the wreckage of the plane was discovered, Swales was dead at the controls. He had given his last moments on earth so that the rest of his crew could live.